The outcome of the three articles we bring you today can affect the rest of our lives. While many are focused on the results of the Republican campaign for the presidency, it is important for informed Americans to know that there are other stories to cover which are crucial to our future. Our freedom of speech and our freedom of religion are under attack by this dictatorial presidency. Our promises to Israel since that country attained sovereignty are not being kept and our government appears to be siding with the very barbarians who attacked us on 9/11. Note that Barack Hussein Obama has taken an adversarial position in each case. 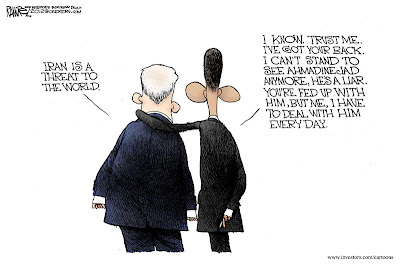 As the Michael Ramirez cartoon at the bottom of the page indicates, one simply cannot trust a president who speaks out of both sides of his mouth and seldom tells the truth. The Get-Rush Campaign Isn't About What He Said. 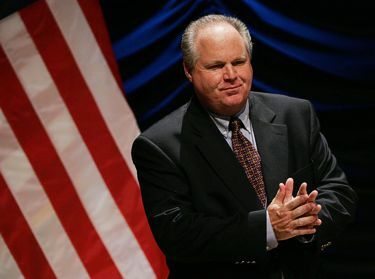 Let’s all agree Limbaugh crossed a line. He agrees. He posted an apology to Fluke “for the insulting word choices.” The scandal-ette should be over. So why are the Left and the media still pushing and publicizing a campaign for advertisers to dump the Limbaugh show and end his career? Because it has little to do with his words. This is all about disingenuous politics. Liberals want this government-mandate controversy to be not about religious liberty, which is devastating, but about contraceptives, which works in their favor. They want to position conservatives as “anti-women.” That’s as ugly as it is untrue. 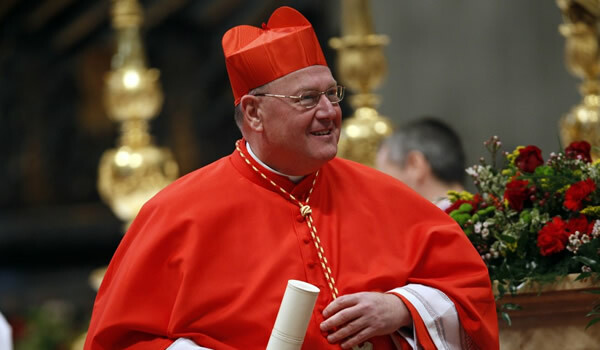 Despite the White House’s rather successful efforts to reframe the media and congressional debate over the HHS “contraceptive mandate” as a right-wing jihad against “women’s health” — a cynical ploy aided and abetted by Rush Limbaugh’s one-man circular firing squad — the real battle against the mandate and in defense of religious freedom has continued. 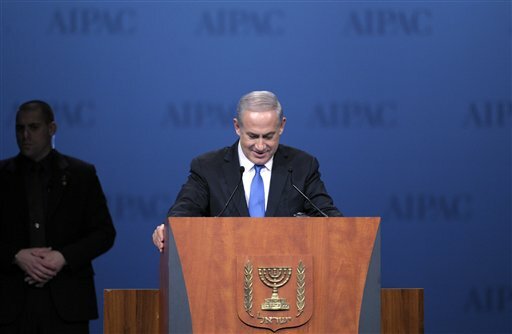 Israel's prime minister on Monday vigorously asserted his country's right to defend itself against the nuclear threat emanating from Iran, warning that time was growing short and declaring he wouldn't "gamble with the security of the state of Israel." Benjamin Netanyahu's tough talk in a speech to thousands of American Jewish supporters was his strongest suggestion yet that he wouldn't hesitate to launch a unilateral pre-emptive attack on Iran. It differed starkly in tone from President Barack Obama's appeal earlier in the day to give diplomacy and sanctions more time to work before resorting to force.